A reflection of an exterior sky through a glass curtain wall offers a fluid sense of space suggesting interior experience within the minds eye. 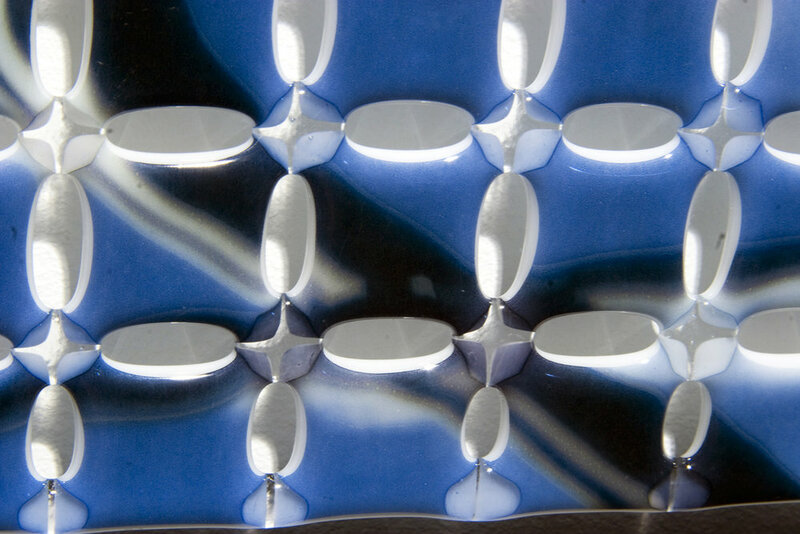 This ephemeral image is captured by fused glass demonstrating the physical phenomenon of surface tension as it transitions from solid to liquid. A strict and repeatable pattern perforates the amorphous image. There is a synthesis between our interior and exterior experiences. MATERIALS. 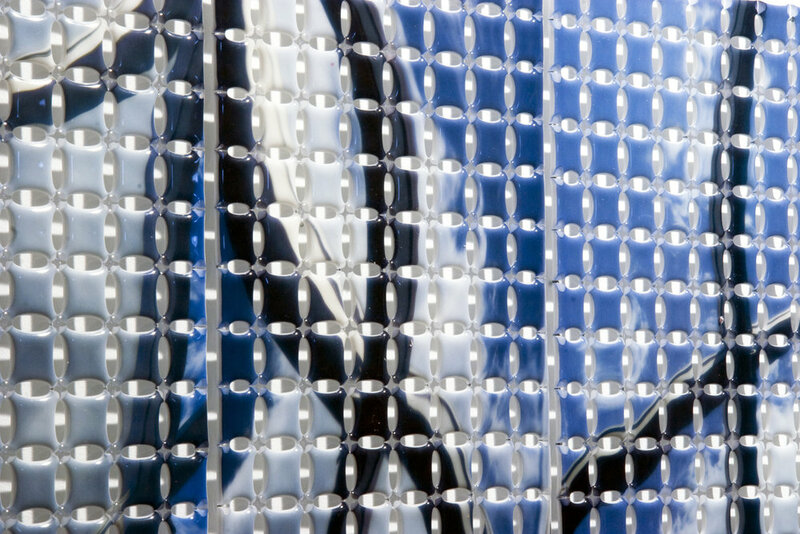 Digital glass decal, kilnformed glass.